Best Mattress 2019 - Which Mattress Should You Get? 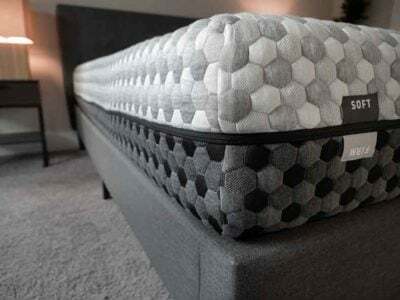 Home » Best Mattress 2019 – Which Mattress Should You Get? Best Mattress 2019 – Which Mattress Should You Get? Every day we get emails from readers asking what the best mattress is. We always respond that it truly depends. There are so many subjective things about mattresses that there’s really no best mattress for every person. We wanted to approach this question a little differently by providing different categories for the different mattress types and then different budgets. From there, we will give some top picks and explain why we like them. At the end of this article, you can see all the criteria we have for judging a mattress. The Saatva is a great balance of comfort and support and overall an amazing value. The New Purple Mattress is very comfortable, supportive, and durable for heavy people. DreamCloud offers you the chance to get ultra luxury at an affordable price. Layla is one of the most comfortable mattresses I've ever slept on. 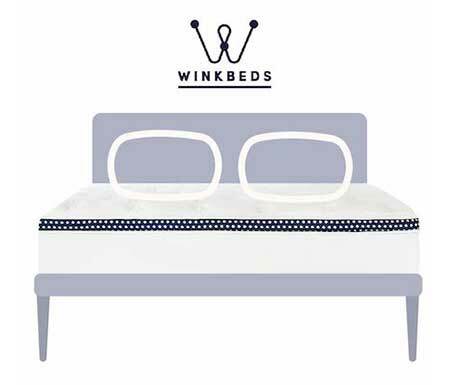 Winkbeds is a great innerspring mattress that is both comfortable and supportive. 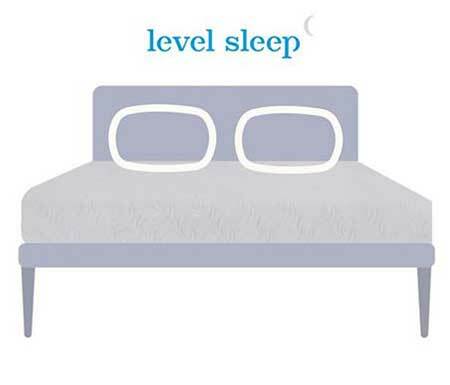 Level Sleep is smartly designed and is the perfect option for those with back pain issues. 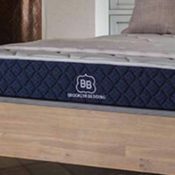 Brooklyn Bedding has great mattress options that are all great values as well. 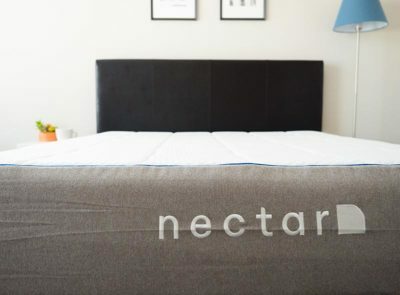 Nectar is a very comfortable mattress that should probably cost a lot more than it does. It is a great value. 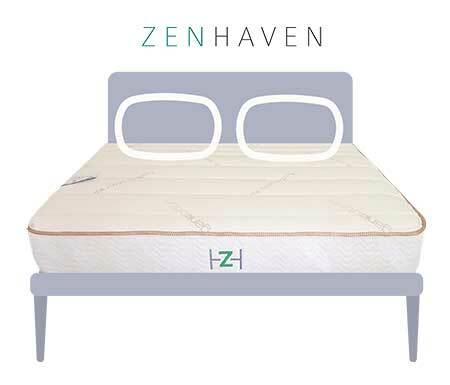 Zenhaven provides an all-natural latex mattress that is very durable, comfortable, and supportive. 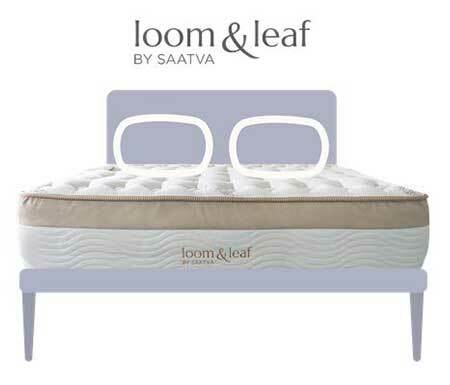 The Saatva mattress comes from The Saatva Company, which also produces the Loom & Leaf and Zenhaven mattresses. 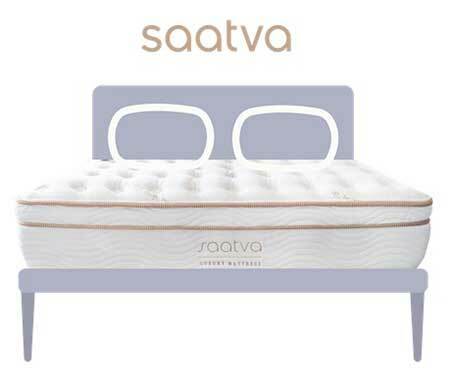 While the Saatva may cost more than many bed-in-a-box mattresses, it does have a lot of offer. 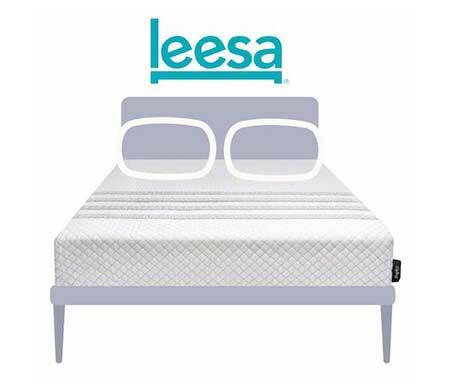 It features durable coils and high-density memory foam, so it should be a longer-lasting mattress. In addition, it features a great balance of comfort and support, so many types of sleepers should find it to be a great fit. In addition, the coils will allow for a lot of airflow, so hot sleepers should enjoy the Saatva. The mattress may cost you more, but it is still one of the best values out there. What Makes The Saatva Stand Out? The mattress features two layers of coils as well as a memory foam Euro top. 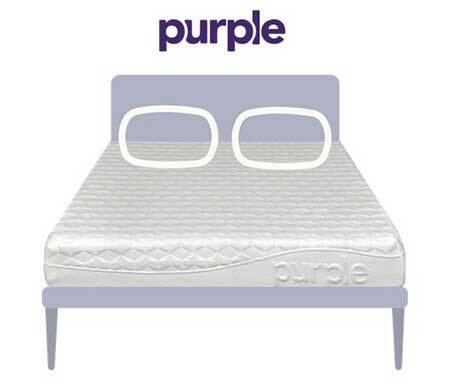 The coils will ensure the mattress gives enough support, and the memory foam will add a level of pressure relief. This should be a great match for a variety of positions. The two layers of coils also promote a good amount of airflow throughout the mattress. This means it should be a more breathable, cooler sleeping mattress. The durable components mean this mattress should be longer-lasting. The Saatva should be a good, long-term investment. Read more in my full Saatva mattress review. Saatva is a great value that happens to be both comfortable and supportive at the same time. You can get the best current deal on Saatva simply by clicking the link below. I was a fan of the original Purple mattress, and I was very excited when they unveiled their new models, the Purple 2, 3, and 4. These mattresses feature a layer of support coils that was not found in the original mattress. They also incorporate varying levels of Purple’s proprietary hyper-elastic gel polymer. This material creates a gel grid that is firm and pressure relieving at the same time. The new Purple mattresses could be a great fit for many types of sleepers, but I think heavier sleepers will especially like these supportive and comfortable mattresses. 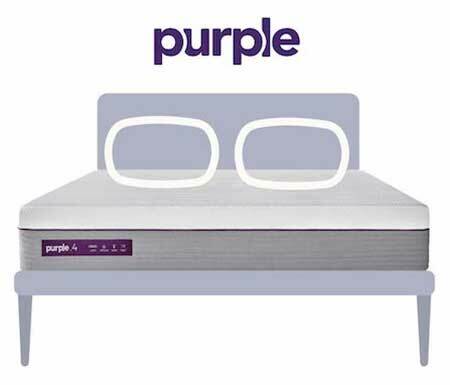 What Makes The New Purple Mattress Stand Out? It could be a great match for heavier sleepers. Heavier sleepers tend to bottom out on mattresses when they press through the support layer and hit the support layer. This shouldn’t happen on the new Purple mattresses, especially the Purple 3 and 4. The hyper-elastic gel polymer provides a great balance of comfort and support. It is pressure-relieving when you are on your side and supportive when you are on your back or stomach. Hot sleepers shouldn’t worry when sleeping on the new Purple mattresses. The gel grid leaves a lot of room for airflow, so this should be a very breathable mattress. The gel grid is also one of the most durable materials I have seen in a mattress. It should stand up to years of wear and tear. The new Purple mattresses are definitely good long-term investments. 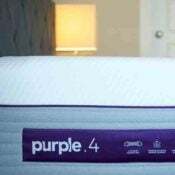 Check out the full review for the New Purple mattresses. The DreamCloud is a hybrid mattress that offers a hotel luxury feel for a value price. This luxury mattress features a Cashmere cover, five layers of foam, as well as support coils. It is a thicker mattress with a thick comfort layer, so heavier sleepers should feel supported without bottoming out. They won’t press through the mattress and hit the firm support layers. 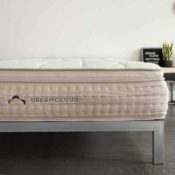 In addition, the mattress has a medium firmness, so many types of sleepers should find the proper amount of comfort and support on the DreamCloud. What Makes The DreamCloud Stand Out? Those who love the feeling of a luxury hotel mattress should enjoy the DreamCloud mattress. While this type of feel would usually cost you quite a bit, the DreamCloud is very affordable. The mattress is medium-firm. This means it could be a great match for all three sleeping positions. The coils should offer great support, and the thick comfort layer should relieve pressure well. The DreamCloud should also be a cooler sleeping mattress. The cover is breathable, the foams dissipate heat, and the coils promote airflow. 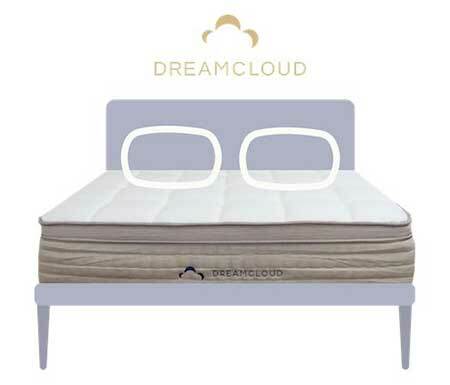 While the mattress might be too soft for heavier stomach sleepers, heavier back and side sleepers should find what they need on the DreamCloud. You can read more about the DreamCloud in my full written review. The Layla mattress is one of the most comfortable mattresses I have ever tried. It features very soft memory foam that relieves pressure very well. 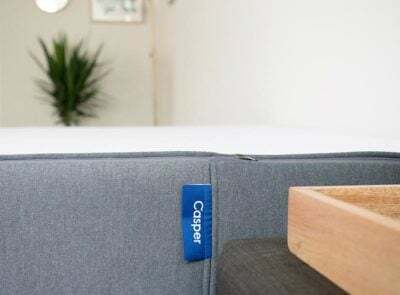 This memory foam is also infused with copper, which can help with blood circulation and keep you cool while you sleep. In addition, it is a flippable mattress, so you get two mattress firmnesses in one mattress. If one side isn’t to your liking, simply flip it over for a different firmness. 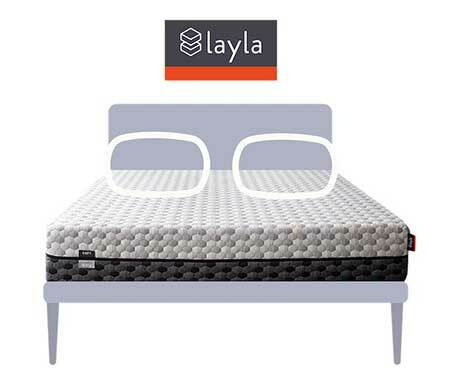 If you are simply looking for a comfortable mattress, is it worth checking out the Layla. What Makes The Layla Stand Out? The Layla is one of the most comfortable mattresses I have ever tried. The mattress is flippable, so it has a soft side and firm side. 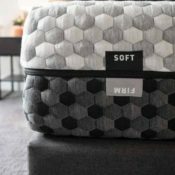 The soft side is a great fit for side sleepers and some back sleepers. The firm side is better for stomach sleepers. The memory foam on the Layla relieves pressure better than many mattresses that I have tried. Side sleepers should really like the Layla mattress. Memory foam mattresses can sometimes cause you to overheat while you sleep. This shouldn’t be the case with the Layla mattress. Many of the foam layers are designed to dissipate heat, so you should be sleeping cool. Read my full review for the Layla mattress. Layla is an innovative mattress that happens to be one of the most comfortable mattresses I've ever slept on. You can get $110 off the Layla mattress by clicking the link below and then using code MCLARITY. The WinkBeds is a high-quality, innerspring mattress. It features two layers of coils and a pillow top. It gives you that feel you might get on a mattress at a luxury hotel. The coils offer a good amount of support, and the pillow top relieves pressure. Add this together with the medium-firmness, and this means this mattress could be a great fit for all three sleeping positions. In addition, there are four models available, so there really is something for everyone. What Makes The WinkBeds Stand Out? Fans of innerspring mattresses should like the WinkBeds mattress. It has that luxury feel you get on a hotel mattress. The WinkBeds is an innerspring mattress with a pillow top. It features a nice balance of comfort and support, so it should be a great match for numerous sleeping positions. There are also four mattress models. They range from Soft, a great fit for side sleepers, all the way to Plus, made specifically for larger people. The mattress shouldn’t sleep too hot. The two layers of coils allow for a good amount of airflow, so this should be a very breathable mattress. The two layers of coils and high-density foams found in the pillow top mean this should be a durable mattress. It should stand up to years of use and could be a good long-term investment. 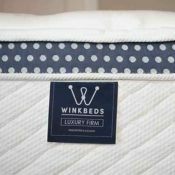 Read my review for the WinkBeds Luxury Firm mattress as well as Marten’s review of the WinkBeds Plus mattress. Winkbeds has a mattress that is an excellent balance of comfort and support. You can get $200 off the Winkbeds mattress by clicking the link below and using code MC200 at checkout. The Level Sleep was designed specifically to deal with back pain. The mattress is zoned, so that the lumbar area is firmer and more supportive than the rest of the mattress. At the same time, the shoulder area remains soft. Whether you sleep on your side or back, your spine should stay in proper neutral alignment. If you struggle with back pain, consult with a physician first. If your mattress is causing the pain, the Level Sleep is definitely worth considering. What Makes The Level Sleep Stand Out? The mattress features a zoned TriSupport system. The lumbar area is firm, while the shoulder and knee areas are softer. This means that the mattress could be a good match for combination sleepers. 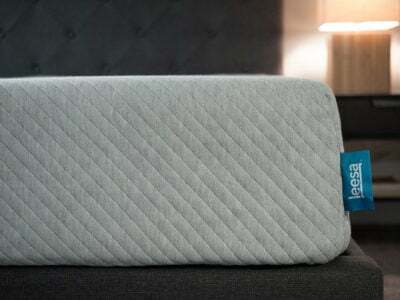 People who struggle with back pain might find relief on the Level Sleep mattress. The mattress is designed to promote neutral spine alignment and to add extra support to the lumbar area. The top memory foam layer is breathable. You shouldn’t be sleeping hot on the Level Sleep mattress. See more of what I thought in my full Level Sleep review. Level Sleep is a smartly designed mattress that is an excellent choice for those with back pain and is comfortable in any sleeping position. You can get $225 off a Level Sleep mattress by clicking the link below and using code CLARITY225. This company offers one of the best selections of mattresses. They have value mattresses, luxury mattresses, and even mattresses made for athletes. Whatever you are looking for, Brooklyn Bedding should have a mattress option for you. In addition, they own their own factory, so they are able to sell their mattresses for a fraction of the price. If you are looking for options and value, Brooklyn Bedding is worth looking into. What Makes The Brooklyn Bedding Mattresses Stand Out? Brooklyn Bedding has a wide selection of mattress. They have options for a variety of sleepers. They offer quality mattresses at a value price. Owning their own factory allows Brooklyn Bedding to cut out the middleman and sell their mattresses for a more affordable price. Those who don’t know what they are looking for or have specific mattress needs could find the right mattress with Brooklyn Bedding. See the full reviews for the Brooklyn Bedding Bowery, Signature, Aurora, and Spartan mattresses. 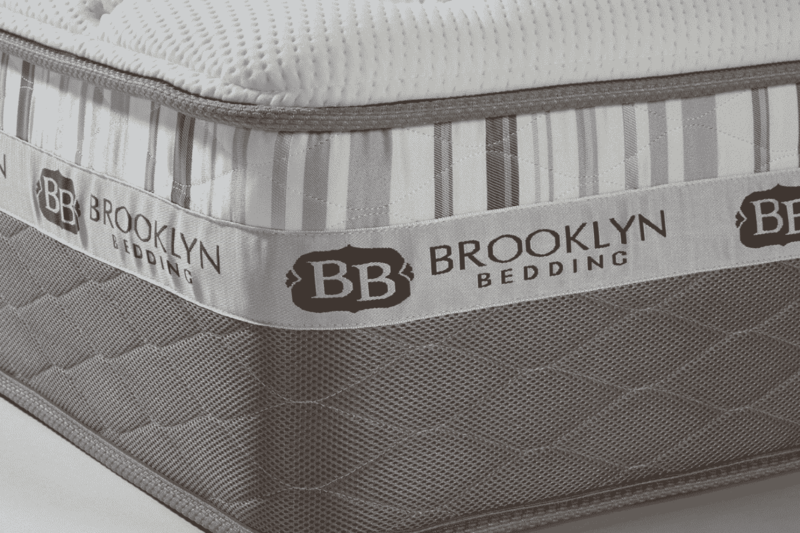 Brooklyn Bedding has amazing products that are sold at very affordable prices. You can get an additional 20% off Brooklyn Bedding mattresses by clicking below and using code CLARITY20 at checkout. This bed-in-a-box memory foam mattress is one of the best values out there. You can get a Queen mattress for under $700. Considering how quality the Nectar mattress is, I would expect it to be much more expensive. While the memory foam feels firm at first, it quickly softens up and relieves pressure on the shoulders and hips. Side and back sleepers should like the Nectar mattress. Fans of the soft memory foam feel should also definitely consider the Nectar mattress. What Makes The Nectar Stand Out? You get a high-quality memory foam mattress for a very affordable price. The soft memory foam offers excellent pressure relief for side sleepers. It really melts the pressure away. The mattress should also be supportive enough for most back sleepers. In addition, the foam conforms to the shape of your body, so the contouring is top notch. It has that classic memory foam feel. You should sink slowly into the mattress and feel it envelop you. Even though it is a memory foam mattress, it shouldn’t sleep hot. The cover and the foams used in this mattress dissipate heat, so you should be sleeping quite cool. Check out my full review for the Nectar mattress. 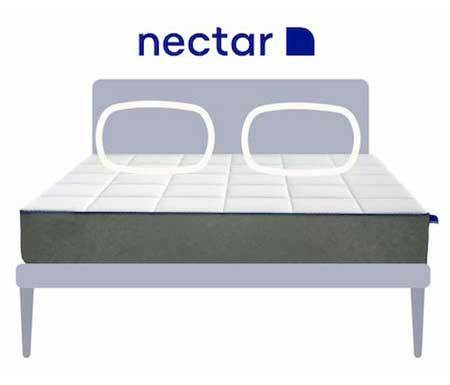 Nectar is a very comfortable memory foam mattress that happens to also be an amazing value. You can get $125 off the mattress and two free pillows by clicking the link below. The Zenhaven is one of the best all-natural latex mattresses out there. While latex will usually cost you quite a lot, the Zenhaven is very reasonably priced. It features latex that is bouncy and cooling as well. It should be easy to move around on the mattress, and it should be a cooler sleeping mattress as well. The mattress is also flippable, so there are two firmness options in this one mattress. Whatever side you choose, the mattress is really best for back and stomach sleepers. Both sides are supportive, so you should be able to find that right amount of support for you. It is a green, all-natural latex mattress. The Talalay latex is responsibly sourced, and the mattress is a great choice for those who want to avoid chemicals in their mattress. The Zenhaven is a great choice for hot sleepers. The latex is a naturally breathable material, so you shouldn’t be overheating. The mattress is flippable, so there are two firmnesses in one mattress. Back and stomach sleepers should be able to find just the firmness for them. The latex in the Zenhaven is also very durable. This means this should be a long-lasting mattress. Read my full Zenhaven mattress review. Zenhaven is an all-natural latex mattress that is innovative and has an excellent match of comfort and support. Get the best deal on Zenhaven by clicking the button below. There are a lot of really good memory foam mattresses out there in 2019, and there are a lot of really bad ones too. I could list about a lot of great options for you, but I thought I’d keep the list limited. Here’s a few that I think represent great value. 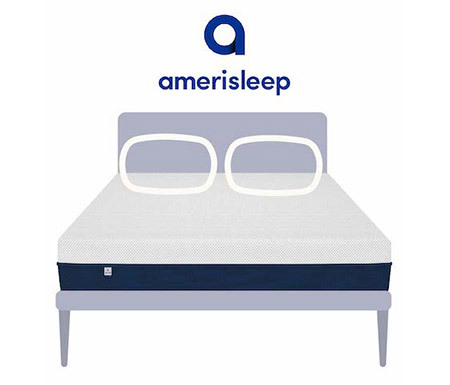 Amerisleep has a line of memory foam mattresses that have different firmness levels and different feels. If you don’t believe there is one best mattress for everyone, then Amerisleep might be a good company to check out. Their memory foam is faster-responding than typical memory foam. That means you get good pressure relief without the feeling of getting stuck. They also do an excellent job of keeping their mattresses cool, maybe more so than any other memory foam mattress company. The mattresses are well constructed and are available at great prices. Loom & Leaf offers you the opportunity to get a luxurious memory foam mattress that would normally cost 2-3x more in a retail store for a fraction of the cost. 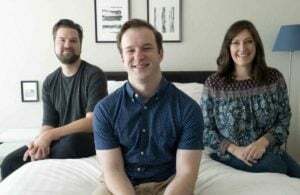 They have also directly addressed the issue of sleeping hot in their construction and their mattress is faster-responding than normal memory foam, meaning you don’t have the feeling of getting stuck. Overall, it’s a great value. The Layla mattress is innovative for a few reasons. It uses copper-infused memory foam. Copper has been shown to potentially have some health benefits. The mattress is also two-sided, meaning you have two firmness levels in one. For me, the soft side was especially good at relieving pressure on my shoulders and hips. That is why I think it’s a great option for people looking for a memory foam mattress who happen to sleep on their side. 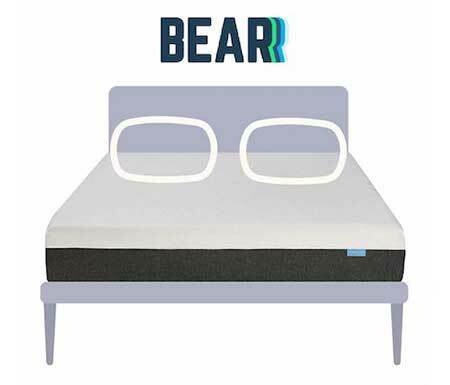 The Bear mattress is very comfortable and uses quality components that you normally only see at much price points. The Bear does perhaps the best job of any memory foam mattress in terms of sleeping cool. This is because they use a special celliant cover and a graphite gel memory foam. The result is a mattress with much higher airflow than any other memory foam mattress. Latex is becoming an increasingly popular category because it offers some of the benefits of a foam mattress without some of the drawbacks. There’s different subcategories within the latex category that all offer something different. 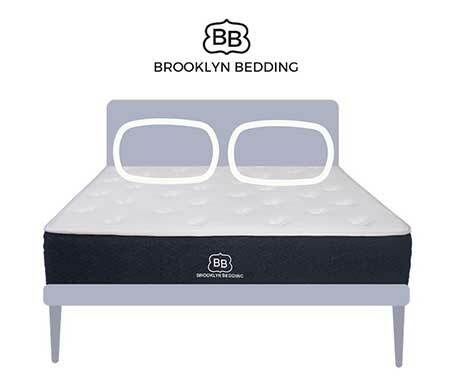 Brooklyn Bedding has a well constructed mattress that features two inches of talalay latex over two inches of dunlop latex in the comfort layer. The support layer is high-density polyfoam. The mattress is durable and has great pressure relief while being resilient at the same time. Because the latex is synthetic, the mattress is priced at a very affordable level ($750 for a Queen). They also offer different firmness levels too. Overall, it’s a great mattress for someone wanting a quality latex mattress at an affordable price. 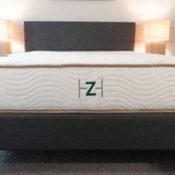 If you are looking for an all-natural latex mattress, Zenhaven is a great choice. It uses natural latex throughout the mattress. That makes it a great option for people wanting a product as close to organic as possible. It’s also flippable, meaning you get two firmness levels in one. All the materials are very durable, so it should be a long-lasting mattress. At $1,899, it’s actually a great value considering how expensive natural latex mattresses usually are. Ghostbed uses a latex over memory foam construction. That means you get pressure relief without the feeling of getting stuck or getting too hot while sleeping. They use quality materials, so the mattress should last longer than many other similar mattresses. At just under $750 for a Queen (using a coupon), it’s a great value and one of the best choices out there at that price range. Innerspring is still the most popular mattress type and is the feel most people are familiar with. There are a lot of good options out there, but I thought I’d list out just a few good ones to make things simple. Winkbeds has a luxurious construction that features a coil-on-coil design that you normally only see in mattresses much more expensive. The foam on top of the coils is pretty soft, and as a result you get good pressure relief on your shoulders and hips when you sleep on your side. In my opinion, it’s a quality mattress that is well suited for side sleepers. It’s only $1,299 for a Queen. Saatva also has a luxurious construction, and it has a history of great reviews over a number of years now. The mattress is well constructed, and in my opinion it is a little bit firmer than average. For me, that makes it an ideal mattress for most people who sleep on their back or stomach. At $999 for a Queen, the mattress represents an opportunity to get a great value. 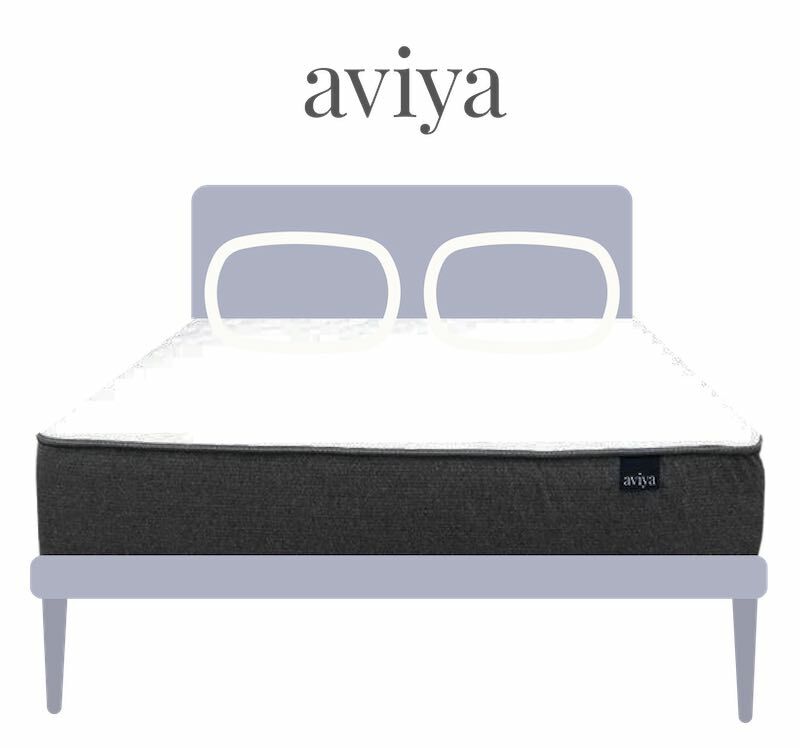 Aviya is another quality spring mattress that uses great materials but doesn’t charge a ton of money for its mattress. The foams they use are high-density and they use pocketed coils. You can get a Queen for as low as $799, making it an awesome option for those who are on a budget. 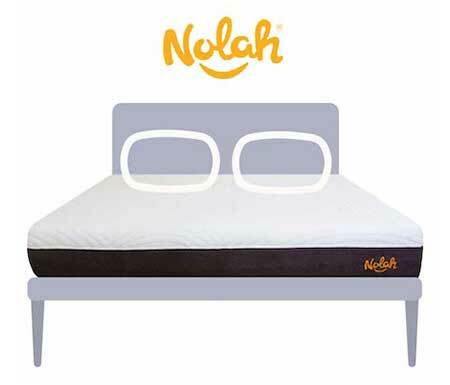 If you sleep on your side, I highly recommend taking a look at the Nolah mattress. It is a unique mattress designed specifically for side sleepers. It is unique because it is a foam mattress that doesn’t use latex or memory foam. It uses a new type of foam called Air Foam. Testing shows that this mattress relieves pressure better than memory foam does. The pressure relief is what really stood out to me when testing this mattress. I felt no pressure on my hips and shoulders at all when sleeping on my side. If you are open to a new concept, Nolah is definitely worth taking a look at. Read our full Nolah review for more information. Without a doubt, the best mattress you can get under $600 is the Love And Sleep mattress Nest Bedding. Because the company owns the factory, this mattress is truly factory direct and you get the best value possible. It’s really comfortable and uses quality, durable materials. It has great pressure relief without the feeling of getting stuck in your mattress. It also has extra features that will ensure you sleep nice and cool. At this price point, I have yet to see a better value. 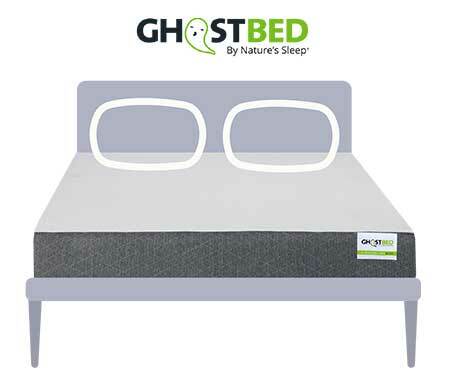 Ghostbed: If you use a $50 coupon (which is typically available), then it’s just under $750 for a Queen. The Ghostbed uses quality, durable components that really make the mattress a great value. It’s a latex over memory foam hybrid that does a good job of staying cool. If you want a foam feel with good pressure relief and without the feeling of getting stuck, this is a good choice. It’s an awesome value given how affordable it is. 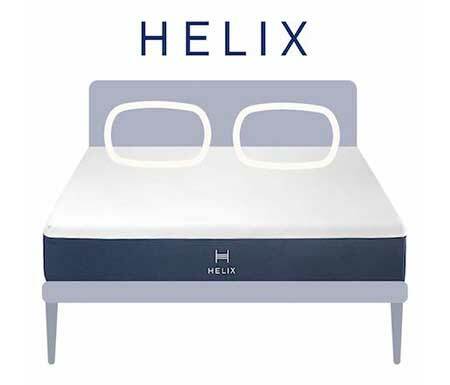 Helix: If you aren’t quite sure what type of mattress you want to get, then Helix might be a good option to take a look at. It allows you to get a mattress completely customized to your needs and preferences. You’ll take a quiz that asks you what your height, weight, sleeping position, preferred firmness, etc. are. Based on the answers to those questions, you’ll get a customized mattress. The company uses good materials as well, so overall it’s a pretty intriguing option. A Queen comes in at just under $1,000, so I think it’s a great option if you’re in this price range. Purple: Purple has a unique comfort layer. It has a hyper-elastic polymer gel grid instead of foam. This comfort layer is great at relieving pressure and is also much more durable than foam. It also sleeps temperature neutral, which is a big selling point for a lot of people who are sensitive to sleeping hot. There’s a lot to like about this mattress, and at the moment you can get a Queen for $999, which is a great deal. We think a top candidate to be the best mattress under $1,500 is the Sapira mattress. The Sapira mattress can definitely be considered a luxury mattress. It is also a hybrid mattress that aims to combine the best aspects of foam and spring. The comfort layer has high-density performance foam which is durable and responsive. It also has a layer of high-density memory foam for great pressure relief. The support system is a heavy-duty coil system that is top of the line. It has amazing edge support and is very durable. Overall, you get great pressure relief as well as great support. A Queen is just under $1,500, so it’s definitely one of the best options around that price level. Zenhaven: It is very hard to find mattresses that use natural materials. It is even harder to find mattresses that use natural materials and are still affordable. To get a natural mattress, you need a natural latex mattress. Sourcing natural latex is very expensive, so as a result natural latex mattresses are typically very expensive. By cutting out the middleman in the process, Zenhaven is able to offer a natural latex mattress at a price much lower than you would find at a retail store. Aside from using natural materials, the mattress is also flippable, meaning it has two firmness levels in one. This means you have a great chance of getting a firmness level that’s right for you. Overall, it’s a great mattress that will last a very long time and represents a great value. Dreamcloud: If you have ever stayed in a really nice hotel, you may have noticed how luxurious the mattress you slept on was. It probably had a lot of nice extras to the construction that made it feel extra nice. That is really what you get from the Dreamcloud mattress. It has a large number of layers that you simply don’t find in a mattress at this price level. It features other things like a cashmere cover and nice tufting that really give it a nice, luxurious feel. Aside from that, it should be a good fit for all three sleeping positions and it can even be a good fit for heavier sleepers (given how thick and supportive it is). If you really don’t know what you want, I would take a look at Helix. Helix offers you the opportunity to get a fully customized mattress. You fill out a series of questions and they will make a mattress that is customized based on your answers to those questions. If you sleep with a partner, you can actually customize each side of the mattress. For those reasons, this could be an interesting choice if you really just don’t know what mattress you should get. There are a number of factors that we look at when doing our reviews. Some of the factors are objective and others are more subjective. Here’s a quick list of what we take a look at in 2019. 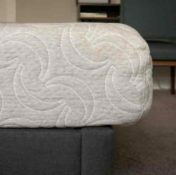 Value– There are multiple ways to assess the value of a mattress. If the company spends a ton on overhead and marketing, then the product is probably going to be priced higher than it could be otherwise. If the materials are not durable, then the product won’t last long and it won’t be a good value. We take a look at the quality of the materials and assess the company’s business model. We then look at the price being charged and are able to make a good assessment of the overall value of the mattress. Feel– Feel is a subjective thing. Some people, for example, love memory foam while others can’t stand it. Rather than saying one type of feel is better than another, we assess the feel, describe it in detail, show it off, and try to point you in the right direction. Ultimately, you will have to make the assessment for the type of feel that you think is best for you. Firmness– Firmness is also a subjective measure. We’ll give our take on what we think the firmness is and we’ll demonstrate it via video. However, take our assessment with a grain of salt because it is such a subjective measure. One person might think a mattress is firmer than average, while someone else might think the same exact mattress is softer than average. Motion Isolation– If you sleep with a partner, then motion isolation should be an important factor to consider. This simply means, if your partner shifts around in bed, will you feel the motion? Some mattresses are great at isolating motion, while others are not so great. Company Reputation– It’s important that a company treat its customers well. We take a look at things like the company’s trial period, return policy, and overall customer service. We have seen some companies do things like not honor their return policy or make it as hard as possible to return their product. 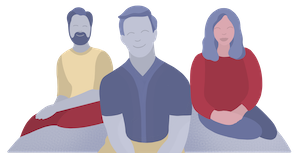 We want to help you avoid companies like that, so we do a deep dive into this area to make sure you buy a product from a company you can trust. Matching Marketing Claims To Reality– Mattress companies are known for making big claims about their product. In some cases the claims are true and in others they are big exaggerations. We try to do our best to assess how accurate the claims made by the companies are. Quality Of The Materials– There are some objective things you can assess about the quality of the materials used in each mattress. Durability, for example, is directly affected by the density of the foams used in the mattress. We do a full analysis of the quality of the individual materials used in each mattress. Sleeping Hot– This is a huge factor for a lot of people. Lots of people are especially sensitive to sleeping hot. We take extra time to assess this aspect of the mattress and give extra points to companies that directly address this issue. 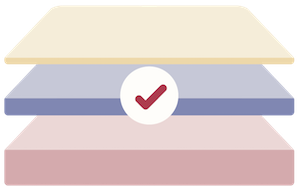 Transparency– In some cases, we understand why a company might not want to be fully transparent about its products, but we do greatly favor companies who are in fact 100% transparent about their products. Providing all the details of the mattress assures consumers that they can know exactly what’s in their mattress. Return Rate– No company ever publicly discloses their return rate. We try to prod the company, however, to privately give us this statistic so we can make sure it is at a reasonably low level. Having a low return rate is of course a great way to know that customers are loving the product. Overall Philosophy– Rather than simply saying “this mattress is great” or “this mattress is terrible,” we recognize that this is a fairly subjective process. As a result, we simply try to point you in the right direction by categorizing each mattress and saying what type of sleeper might like it. If you know which mattress type you are looking at, what your budget is, or what your sleeping style is, then you can take a look at the more detailed articles we’ve written on those subjects. Hi! I have been reading up on mattresses and reviews for weeks and have myself confused and afraid to finalize my pick! I am 5’9 145lbs and sleep almost 100% of the time on my side. I tend to not move positions much at all in fact and can have some lower back and shoulder pain/stiffness. My husband is 6’1 about 185 and sleeps on his side or back. He doesn’t have a ton of preference and says he can “sleep on anything”. I however have preference but am somewhat indecisive about it! I do not think I love the feel of an all foam mattress for the long term. I do like the softness and sink in but not stuck feeling. I really prefer something with some firmness for support below and a soft top. In the past I have had old school spring mattresses and added down pillow toppers. I called my favorite bed in college “the cloud”. My current bed is a super old spring mattress (like 15 years!) and we have a memory foam topper. Not sure whats causing it (maybe a combination of things) but I wake up sore every morning. I have never slept on a true “hybrid” buts that what I am leaning towards. I have spent the most time going back and forth between the Nest Alexander Hybrid, the Dream Cloud, or a good old fashioned spring mattress with pillow top- such as something from Sealy etc that I can test in store. I am open to any suggestions and sooo appreciate the feedback! I’d take a look at Saatva. I am looking for a mattress and currently sleeping on an extra firm mattress with latex and memory foam toppers because the mattress is too hard. This combination is not working out. I’m 6 feet 150 lbs and a back sleeper/side sleeper. I mostly sleep on my back but will switch to the side when uncomfortable. I need some softness as I am light and have some back/hip stiffness but also enough firmness without sinking in too much which causes me mid back pain. Hoping you can help as I tried several mattresses with no luck so far. All spring mattresses. I would consider the Purple mattress. It’s perfect for back sleeping and should be close to soft enough for you on your side. Can you say how the Level bed and the Puffy Lux compare to each other? I haven’t reviewed the Puffy Lux yet unfortunately. It seems like people are moving away from box springs are the mattresses in this review able to be used with no box springs? We are in the market for a new mattress. We were able to try a Tempur-Cloud Supreme Breeze in the store and we loved everything about it, except the price. In you opinion what would be the most comparable mattress? I am 5’9, 150 lbs. and my husband is 6’4, 270 lbs. We are both side sleepers and my husband sleeps hot. We currently have a pillow top mattress that we have had for 14 year, we are new to all the different technology out there, so honestly don’t know what to look for…any advice would be greatly appreciated! Maybe check out the Amerisleep AS4. Hello Joe, I’m wanting an adjustable bed frame with a Split King size bed. I have severe neck pain ( whiplash) and am constantly bothered with really bad leg and knee cramps at night. I toss and turn a lot and I’m up and down a lot all night long. My husband has crushed vertabraes and constant severe back pain and degenerative discs. We both are back and side sleepers. We are on Social security and I keep looking for clearance and sales for cost reasons. I need the correct mattress for us both. I like medium soft with a plush feel. My husband likes medium to firm in a mattress. Can you help me with the correct mattress that meets both of our comfort levels. I also have bad Gerds and need my bed elevated at night. I’ve been reading up on all mattresses and I’m tired of guessing. Price is always a necessity and I was hoping I could get one with my doctor’s medical advise and in hopes that my insurance would pay for one. I need your help and the right bed for us. We’re 68 and 70 years old with our weight ranging around 218 lbs. I can’t wait for your suggestion(s). Have you checked out the Helix yet? You can customize two sides of the mattress to fit your individual needs. Hey Joe, theres so much out there right now I dont want to blindly just try a bunch of test runs. Could you help narrow things down a bit for me? I want something thatll work well on an adjustable base. Something that is good for a big guy. I know that I do not like firm mattresses, but dont mind middle of the road. Im typically a side sleeper but I toss and turn a LOT during the night. Actually hoping this new setup with help alleviate that. And as far as price range, I’m willing to spend money for something good. It doesn’t need to be a bargain. I would check out Purple if you haven’t already. I am a side-sleeper with spondolisthesis, causing constant and severe right leg pain. My wife is a back sleeper with no pain issues except occasional shoulder pain. What bed would be best for the 2 of us? I think the Purple would be a good pick but make sure to speak with a doctor too. Still trying to decide on a mattress. Needs to work on an adjustable bed frame. Have back pain and neuropathy (stemming from car accident 7 years ago) Mostly sleep on my back, but sometimes side when back pain gets bad (is both lower and upper back.) Twin XL. I would check out the Saatva. It works with their adjustable frame. Looking for a new mattress and this is very confusing because my husband and I are very different and we would be replacing a king size innerspring mattress which is all we have ever owned. My husband is a pretty big guy about 6 foot 2 and 240 lbs. that is a side sleeper and I am a petite 5 foot and 100 lbs and am a back sleeper. Neither of us like anything that is too hard nor too soft that you are going to sink way down in it. Any recommendations? You could check out the Helix. You can customize two sides of the mattress based on your different preferences and height/weight. Hi, I’m curious what you think of Tuft and Needle? I’m interested in ordering something clean/green for my daughter’s room. No chemicals or off-gassing. I have a plushbed latex mattress and I love it, but want something more affordable for my daughter since I don’t know how long before she wants to switch her room around or who knows what. I feel bad not buying an organic latex mattress for her again but they’re spendy! Her bed is most often used for guests…grown ups. Usually her uncle who weighs about 170lbs and is a side sleeper. Thanks for suggestions! Thanks for contacting me. I ordered the Silk + Snow mattress, queen size. After reading/viewing reviews on several sites I felt it was a good fit for my needs. I’ll let you know how I like it after it arrives. Well, we got the Nectar mattress in, but didn’t like it. It had memory foam which made me feel warm and as though I was sleeping ‘in’ the mattress as opposed to ‘on’ it. It also made us realize that we like spring construction, which Nectar did not have. On a learning curve here….I also noticed my husband’s movement more with the Nectar. We also decided that we want to go with a natural mattress and am considering My Green Mattress. We sleep primarily on back and stomach, although occasionally on side. My Green Mattress said their Echo would be best for us. I am open to suggestions, as we have not ordered it yet, but will this next week. Now let me tell you Nectar’s Customer Service is the pits. I sent emails with no replies. Was in line for an agent for TWO HOURS, then 1 1/2 Hours and 1 hour! That is ridiculous! They are seriously understaffed. Getting the return set up was a nightmare and should not have been. I’m 65, 145lb., side and back sleeper. Have issues with lower back pain on my current mattress. Looking for recommendations on a foam mattress. Prefer to stay under $1000. Thanks for your help! Really enjoy your website and reviews. The Casper or Tomorrow Sleep should be a good fit for you. I am purchasing a mattress for a guest room and considering the Loom and Leaf. What do you think? Will it hold up well over time? Any others I should consider given it’s just a guest room? I think it will hold up well over time, especially if it’s just for a guest room. I think your guests will enjoy it. Hi Joe. Your site is great. I am looking for a new bed as my current coil bed is giving me lower back strain when I wake up. I’m 160 LBS and a side and back sleeper. I was considering amerisleep as2 (or as3). Which would you recommend and are there others I should consider? Thanks in advance! If you sleep on your side at all, then the AS3 would be a much better fit in my opinion. I think the AS2 is too firm for side sleeping. I have been looking for a nice mattress for side sleeping. I am 5.6 and 185. From what I read a full foam mattress is not best. I came down to online choices of aviya, sattva, tommorow and dreamcloud. On line us mattress lydia manor pillow top plush, rooms to go, crystal springs sealy performance line,. I would try the Tomorrow Sleep then. I’m a 6′ side sleeper who has been sleeping on FIRM Tempurpedics for over 15 years. I need something different as I currently wake up with my shoulder asleep. I can go locally to lay on softer tempurpedics to try it out, but was thinking of buying either loom and leaf relaxed firm or purple.3 or purple.4 unless you have other suggestions. Purples didn’t rate well for large side sleepers but hoping the .3 or .4 will fix that. I probably wound up choosing FIRM tempurpedics because before that I had pillowtops e.g. sleep number bed and wound up with back pain over time. I think the Purples would be a good fit for you. 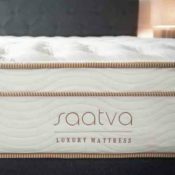 I ordered the Saatva mattress, they recommended their “relaxed firm” I felt like I had been kicked in the ribs and I still am having trouble walking due to hip pain, returned it and got the Tuft and Needle, will likely return this one as well. I feel like I’m going to roll off the edge at all times it’s too light and slips down off the wall constantly. I am 6’8″ and there is no furniture other than a bed that I can comfortably sit, eat, compute, read, watch…..on. This entire mattress search is a slow hell. Hi, I bought a Nolah mattress and have been using it for about 2 weeks. I already put in a request to return it; the mattress is too firm for me. I think I’m too light (weightwise) for this mattress. I am a back and side sleeper and even before falling asleep, I find that my shoulder and hurting me (if on side) and back (if sleeping on back). I’ve woken up every morning with a sore back. The offgassing continued for a week and was really noticeable. In fact I still can smell the mattress through the sheets when I go to sleep, even though it’s been close to 2 weeks. I’m going to be looking for something softer than this. Any recommendations are welcome. 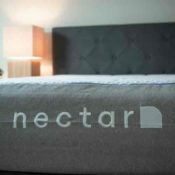 Have you tried the Nectar sleep mattress? I ordered one because it has a great warranty. 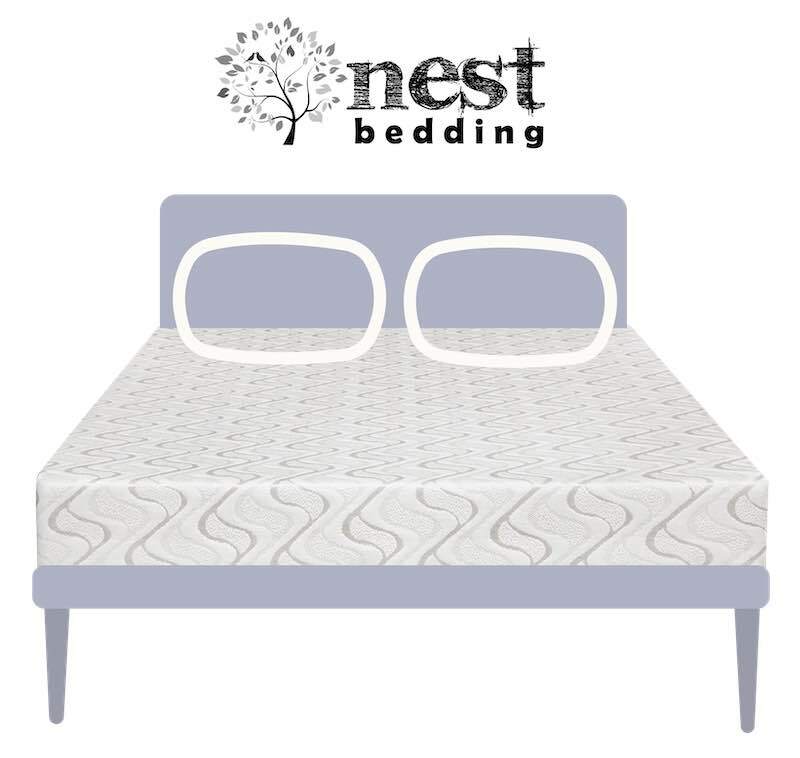 See our review here, https://www.mattressclarity.com/reviews/nectar/. I did purchase a mattress. I chose a WinkBed. So far, so good. I chose their most firm mattress as I enjoy a very supportive bed, being a side and back sleeper. Glad it’s working out so far! Hi there – loved reading all the recommendations on your website. We ended up going with the Nectar mattress. Good price and great reviews and two free pillows deal. We are waiting for it to arrive and I will update you once we have slept on it. Fingers crossed! I have a platform bed. Does that change any of your mattress recommendations? Hi there! I could use all the help I can get at this point. I am having horribly disrupted sleep due to pressure point pain – shoulders, hips & knees. I have a severely damaged neck….and because of this injury (horse accident) – I now have very limited funds. I am tiny, 5’5″ & 102 lbs. I have chronic pain PLUS other neck issues. My shoulders tend to curl under, I switch back & forth between 2 pillows at night, plus use a knee pillow. I think I need somewhat firm underneath….but super soft on top so my shoulders won’t roll under & cut off circulation. I have read much of your emails, reviews & watched your YouTube videos. Not sure Amerisleep AS4 would even be soft enough for me. For people with my type of injury, air or foam are apparently best. I am hypersensitive to smells – so can not tolerate any off-gassing period. Can you help me? I will be purchasing in the next 4 to 6 months if I can find some $$$. My Drs. are VERY worried about my lack of sleep, as am I. It’s not healthy. Thank you for thinking about this, I hope you can help. I appreciate what you do, via your reviews. They are super helpful. I would check out the Tomorrow Sleep Medium Soft. It is supportive yet is definitely quite soft. The pressure relief is very good. I left a comment a few days ago, and I am not sure how long you usually take to respond, so at the risk of sounding impatient, I will ask my questions again. I have done extensive reading and as you have said, it only adds to the confusion. I think the Nectar is probably the best choice for me for price, and the Dromma souned good also. Then I read about latex, and the Zenhaven, and although the p[rice is three times the price of the Nectar, I am wondering if it is worth it to go in that direction. My wife is a side sleeper and 100 pounds, and I am a back sleeper and 165 pounds. We presently use a water bed frame for our mattress, so the heavy weight of the latex mattresses might present a problem when trying to change the linen, because of the need to lift the mattress to get sheets under it. Your thoughts please. Thank you. I think the Zenhaven would feel too firm for your wife. The Nectar sounds like it would be a good choice for you. Hey Joe, any plans on reviewing the Pangeabed?